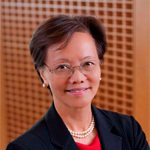 Weili Cheng has over 30 years of combined experience in hospitality and law. She has developed extensive knowledge in hospitality law, operations and strategic planning, due to her wide-ranging background. She is currently the incoming Executive Director of the Association of Yale Alumni and in that role, is responsible for overseeing the direction of alumni organizations and programs as well as providing a channel for communication between Yale University and its alumni. After 40 consecutive years working in the hospitality industry in three countries, most recently as Regional Vice President for Shangri-La Hotels & Resorts in North America, Stephen now leads his own hospitality consulting practice, and he currently serves on two boards. Darling entered the hospitality industry as a bellman in Quebec City, from where he became motivated to obtain a Hospitality Management Diploma at Concordia University. 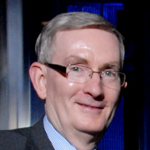 Henry Davies is a veteran professional in the hotel industry, experienced in various aspects of strategic and operational hotel management both internationally and in the U.S. He provides the leadership expertise to ensure the effective and efficient operation of a hotel or group of hotels. In his present capacity as President of Davies Consulting Group, LLC, he advises investment funds on hotel acquisitions and provides strategic reviews of their existing portfolio’s operations. 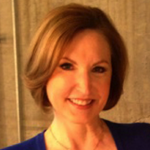 Deborah Fell is a CMO at Chief Outsiders, a national management consulting firm that provides part-time marketing executives to growth firms and mid-sized businesses for a fraction of the price of hiring a full-time CMO. Deborah has over 30 years of experience in marketing spanning multiple industries, ranging from growth and mid-sized businesses to large global entities. A hospitality industry leader, educator and best-selling author, Ed Fuller is President of Irvine, California-based Laguna Strategic Advisors. Culminating with his service as Marriott International’s President & Managing Director of International Lodging for nearly 22 years, Mr. Fuller’s distinguished, performance-driven corporate career spanned four decades. 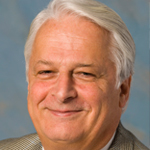 Rick Goldstein is the founder and President of Kensington Consulting Group, Inc. Since 1993, this organization has provided consulting support to a diverse mix of industry leading companies including IBM, Nextel, GE, Ciena, Diageo, Pulte, Marriott and T Rowe Price, as well as, associations and non-profits including U.S. Travel, Orlando CVB, American Gas Association, American Society of Anesthesiology,and Home Appliance Manufacturers. An accomplished global professional, Jean-Marc has over 42 years of experience in the hospitality industry. After successfully leading teams since 1981, he has accumulated a comprehensive understanding for hospitality operations and development on an international level. In his current role at Worldwide Hotel Development Ltd., he serves as consultant for Marriott Middle East and Africa reporting to the Marriott Head Office of Dubai. Jeff Holmes is a recognized leader in the planning, implementation and operation of business. 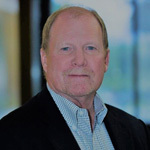 He has over 30 years of experience in all aspects of strategy, business operations, sales/sales management, business development, acquisition management as well as supply chain/logistics planning and operations across multiple industries and geographies. 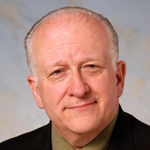 Ed Hubennette is an international business leader with recognized skills in developing, motivating and coaching leaders for the future. 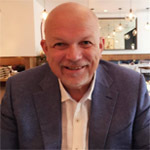 As an executive coach and consultant, Ed draws upon his prior professional experience in management, customer service, business strategy, operations, product management marketing and development. Today, he coaches and leads workshops for some of the largest corporations, nonprofits and governmental organizations worldwide. 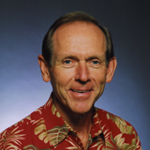 Buck Laird is the former Managing Director of Anthology Marketing Group based in Honolulu, Hawaii and co-founded its advertising unit, Laird Christianson Advertising in 1989. 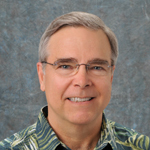 Anthology is now the largest marketing communications firm in Hawaii. 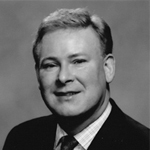 In 2008 he formed his consulting practice, The Laird Co. LLC. Laird’s business career can be traced to his first experience in self-employment at age 15. 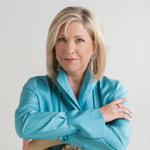 Teri Merritt is founder and CEO of Merritt Marketing Solutions, LLC based in South Florida. 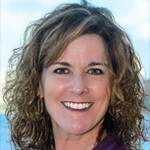 As an experienced marketing executive, Teri’s extensive background enables her to provide strategic marketing & digital solutions to hotel owners and managers, both at a brand and / or independent hotel level. Her primary skills are both brand and hotel marketing & advertising (both on and off line), with the capability to ensure that the hotel asset or assets are properly positioned. PlayBook Consulting Group is a Hawaii-based management consulting firm that transforms organizations, improving performance and increasing the capacity for meaningful impact across Hawaii, California, Oregon, and Washington. We are known for our specialized expertise in strategic planning, tactical implementation, executive coaching, and team development. Capping a stellar career in the hospitality industry, Perry Sorenson retired as COO of Outrigger Hotels and Resorts. He started New Perspectives, an executive leadership training and strategic development program for hospitality-related companies. His presentations are much sought after by university business and travel industry management schools, and corporations. 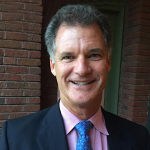 Perry’s expertise includes hotel and resort strategic planning, positioning, operations, and profitability.